1 Combine the chickpeas, coriander leaves, garlic, bread and spices in a food processor and pulse until smooth. Add the egg and pulse again. Season with salt and pepper. Divide into four equal parts and form each around a tablespoon of feta cheese to make patties. Fry in a hot ribbed griddle using the olive oil for 3 minutes each side. 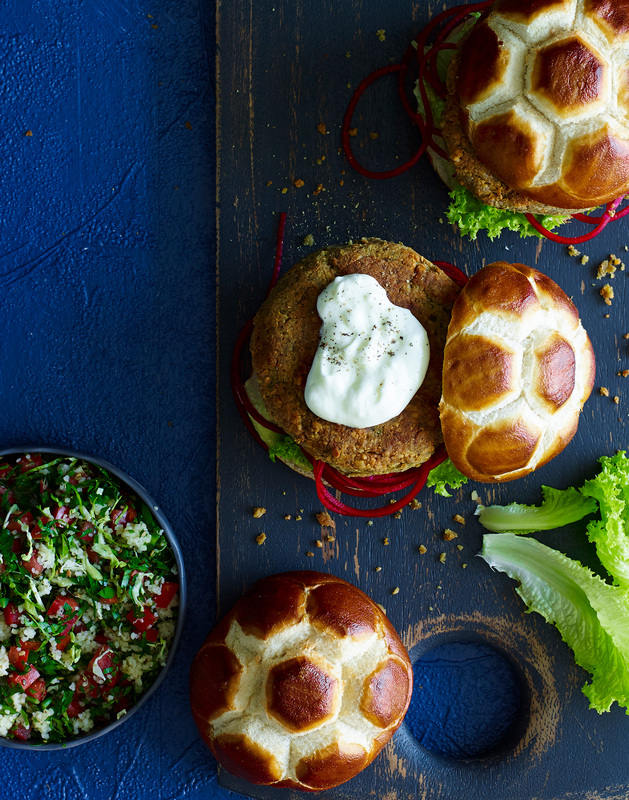 2 Spread the bap rolls with green tahini, then top the bases with coral lettuce and beetroot. Place a pattie on top and finish with yoghurt. Serve with tabouleh.